With poor planning, last minute schedule changes, and the hiring of the Hells Angels as security all blunders, this event is infamous for the murder of Meredith Hunter during “Under My Thumb.” Although his death is tragic, it begs the question of what was he doing pointing a gun towards the stage in the first place? 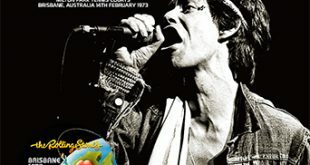 Parts of the show are included in the film Gimme Shelter and, in the absence of an official soundtrack, many releases copy that including Gimme Shelter (Save The Earth STE 004) and Gimme Shelter – Millennium Edition (The Millennium Edition). The audience tape has been used for many releases including three on vinyl; thirteen tracks on the vinyl Altamont (recorded in Altamont “Nightmare” Speedway) on one LP and fifteen tracks onAltamont ’69 (Alt Records) on two LPs and Altamont (M3A/B). On compact disc it can be found on Hell’s Angels And Murder At Altamont aka Altamont Speedway (Shaved Disc TSD 003) which is poor quality and incomplete, There’s No Angel Born In Hell (TSP-CD-028) has “Sympathy For The Devil,” “Under My Thumb,” and “Gimme Shelter,” The End Of Innocence – Live At Altamont (Phoenix Records) incomplete with “Stray Cat Blues,” “Love In Vain,” and “Satisfaction” missing. 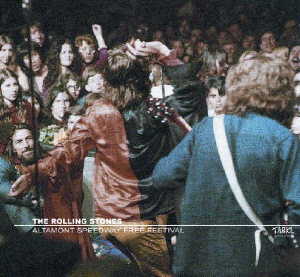 Other CD releases include Altamont Speedway (Shaved Disc TSD 003) which is incomplete and in poor quality, Altamont The Rolling Stones In Concert (Idol Mind Alta 69-1/2) has the complete audience recording as does Gimme Shelter (Golden Hit Records GHR 001-2), Altamont 1969 Full Show (Why Are We Fighting And What For?) (Hanging Dog 044) and finally “Altamont 1969″ The Killer Festival (Vinyl Gang VGP 113). Altamont Speedway Free Festival on TAKRL contains the complete audience recording in identical quality to the Vinyl Gang Product release, so there is no upgrade. But it has been more than a decade since the VGP release so TAKRL make this available again in an affordable edition. This is a very clear tape and a good record of the show and chaos that ensued in front of the stage. The lower end is absent in the first song and is thin throughout with emphasis on the vocals and guitar. There are numerous cuts between numbers but nothing too significant is omitted and it captures most of the music and commotion. The set list is similar to the rest of the 1969 US tour except that the two song acoustic set, “Prodigal Son” and “You Gotta Move,” were dropped for both this show and the previous date at the Miami Pop Festival in Miami on November 30th. “Jumping Jack Flash” gets off to a slow start with the band sounding rusty after a week’s break. “There’s so many of you. Just be cool in front and don’t push around. Just keep still (laughs)” Jagger says before the band play “Carol.” One minute after starting “Sympathy For The Devil” there is a commotion in the crowd and the band stopped playing. “Who do you think?” someone shouts. “Why are we fighting? Why are we fighting? We don’t want to fight. Every other scene has been cool, we gotta stop right now or else there is no point. Jagger can be heard off mike threatening to stop playing if a particular guy doesn’t stop fighting. “I just want him to stop pushing people around.” One of the Hell’s Angels comes on and threatens, “Hey if you don’t cool it you ain’t gonna more music, Do you want to all go home or what?” “You’re the one who started it” some girl shouts. “The doctor is coming through in a green jumper and he’s just here. Can you let the doctor get through please and let him get to the person who is hurt. We also lost in the front here a little girl who is five years old.” “Blame the angels” a guy by the taper shouts. After “Sympathy” the band get into a mellow version of “The Sun Is Shining,” maybe to help calm things down. Although the Stones used to play this song in 1962 and 1963, this is the only extant recording of them playing the song. After “Love In Vain” Mick says, “I think there is one good idea that came out of that number is that the only way you’re gonna keep yourself cool is to sit down.” Things break down again forty seconds into “Under My Thumb.” There is a small cut in the tape where Jagger tells everybody to get to the side of the stage except for the Stones. Before “Honky Tonk Women” Jagger makes an understatement saying they had a “few hang-ups.” This is packaged in a double slimline jewel case and obi strip with many photos from the event. Altamont Speedway Free Festival isn’t an upgrade over the Vinyl Gang version of the show that came out more than a decade ago, but this is another opportunity to find this tape. It is a fascinating piece of history and the concert itself, despite the commotions and chaos, is very good. I had put off buying a copy of this show from any label in the past,as I had always heard it was a fair recording at best. After reading the reviews on this and the Godfather label version I ordered this title recently have to say I was pleasantly surprised by the sound quality and have to agree with the review and comments that it is a little thin, Mick and the guitars dominate and Charlie is inaudible at times but that being said this is a very good clear audience recording and, from the sound of the nearby crowd reactions to the violence, the recorder was probably very close to the stage. Even with the mentioned flaws this is actually one of the better recordings of the 69 tour. As others have already commented this is a facinating document of this infamous concert and a compelling listen. Considering the conditions the person recording this show had to endure to hump the recorder to the show and get a prime seat near to the stage in the frigid night it is a miracle this recording even exists!! Once I put this on it was hard to tear myself away as I wanted to hear it complete in one sitting. 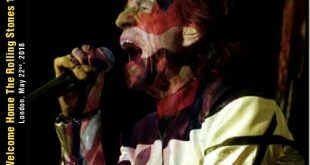 I also highly recommend watching the Stones offical tour documentary “Gimme Shelter” before listening to this, if you have it, as it really expands the listening experience as you can get a visual of the chaos enveloping he stage during the Stones set. 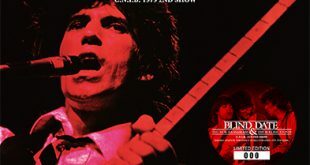 I also reread the description of the show in Stanley Booth’s excellent book on the 69 tour, so when you put the written, video and audio together you almost get the feeling of being in the crowd. 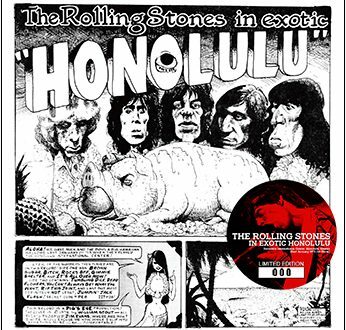 If you are a Stones fan this title is highly recommended. Will have to pick up the well reviewed Godfather labels version to compare some day….. This release uses ONLY the audience recording and does not use in any way the incomplete French radio broadcast. Basically this is a copy of the VGP release, but is more readily available. Can anyone confirm if this is the same source material as DnC’s Altamont which comes on 1CD and utilises (a rather poor) French radio broadcast for completeness? This is a very accurate review. Despite the sound of the music I found this an intresting listen. 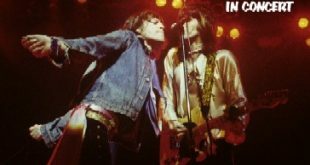 A decent performance and as the review says you can hear Mick, Keith, and Mick Taylor, a little bass and even less of Charlie though. Mixed in throughout is the crowd talking, clapping and singing along with numerous interuptions throughout. Kind of like listening to a train wreck, once you start you can’t turn it off. Bartender, the first round is on me.